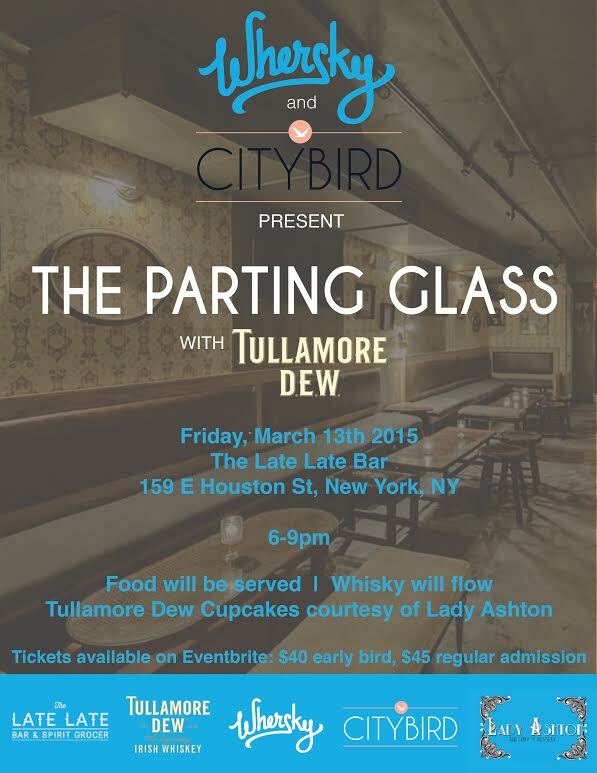 Friday, March 13th Whersky and CityBird are teaming up for the first time to raise A Parting Glass to Old Man Winter in true Irish wake tradition with Tullamore Dew, the Irish Whiskey known world over for it’s smooth and gentle complexity. Additionally, New York Ambassador Gemma Cole will take guests on a guided tour of 12 Year Special Reserve, 10 Year Old Single Malt and Tullamore’s newest release, Phoenix. Early Bird pricing ($40) will expire 3/8. Regular admission is $45.